While the future of the Disney Infinity series is done, there are still a few more opportunities to pick up some of the toys for Disney Infinity 3.0 Edition. In conjunction with the film's release this past weekend, new figures based on Alice Through the Looking Glass are available at your retailer of choice. 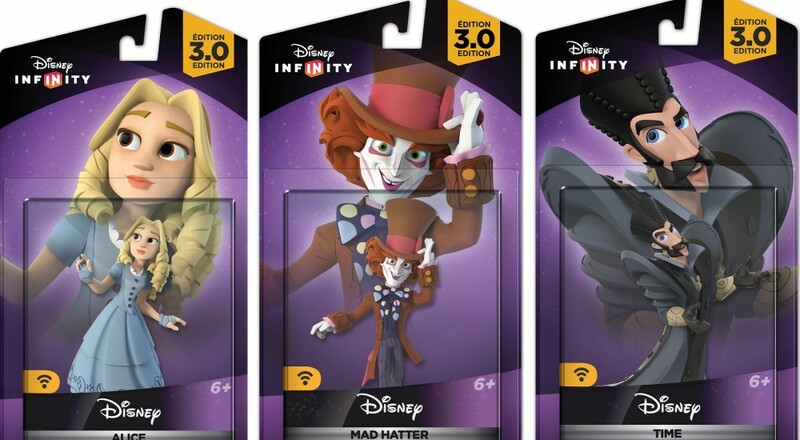 You can pick up Alice, the Mad Hatter, and newcomer "Time" (played by Sacha Baron Cohen in the film) to use in the game's Toy Box mode. These will be some of the last new figures made for the game, with the next set, based on Finding Dory, marking the end to the series. It's a shame that a franchise like this has come to such an inglorious end. Not only because of the closure of Avalanche Studios and its 300 employees being put out on the street, but because it sounded like there were plans in the work to really revamp the title. Hopefully the folks at Avalanche have found new employment. Ideally, some of them would find their way to the development studios of other "toys-to-life" games and can work to boost those titles.